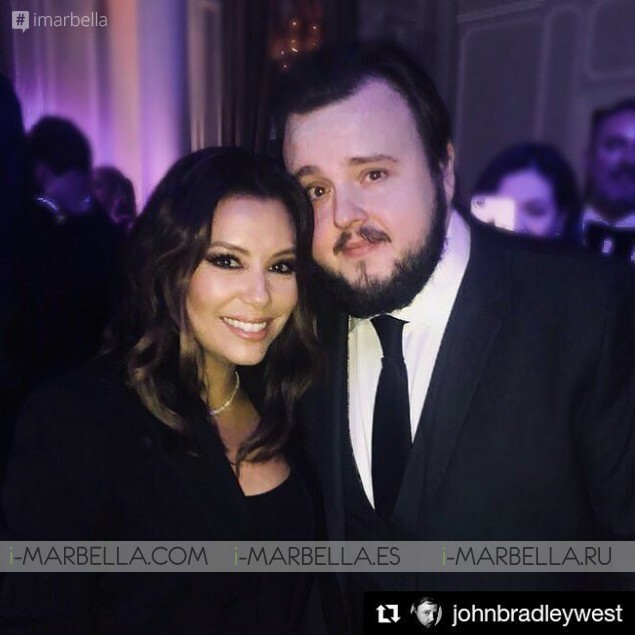 Figures like Eva Longoria Bastón, Victoria Beckham, Ronan and Storm Keating, Maxwell, Robert and Jessica Pires or John Bradley among others, accompanied the hostess, María Bravo, in the eighth edition of the gala that took place at the Corinthia Hotel in London. The collection will go entirely to charitable causes of three organizations: Eva Longoria Foundation, The Great Ormond Street Hospital Charity, and Global Gift Foundation. This eighth edition of the most exclusive charity event in London was the highest grossing gala in the history of Global Gift. For the second consecutive year, the Corinthia Hotel hosted what the media call the gala of the year, presented by the icon of television, Konnie Huq, with María Bravo and Eva Longoria Bastón as hosts of a magical evening that began with the Traditional welcome cocktail and the awaited red carpet surrounded by media from around the world. The participants of this incredible evening enjoyed a performance by Seia Lee and Steve Edwards, as well as the prodigious pianist Tokyo Myers, the singers Heather Small and Markus Feehily and the official DJs of Global Gift Foundation, the duo BitterSweet, composed by Ashley James and Charlotte de Carle. In addition to the special performance of the flamenco dancer Rafael Amargo who dazzled the audience with a great show, sharing the stage with the dancer Karen Ruimy. Maria Bravo founder of Global Gift Gala and Eva Longoria Bastón, co-host of honor and founder of Eva Longoria Foundation participated in this event and showed their gratitude to all collaborators who put their part for the eighth consecutive year in creating better situations for women, families and children in need that receive help through these foundations and projects. For this 2017, three charitable causes with multiple projects were selected: Global Gift Foundation, Eva Longoria Foundation, and Great Ormond Street Hospital Charity. A patient of Great Ormond Hospital, Tarun Sundersingh who was born with multiple-pterygium syndrome spoke on behalf of this cause, attesting to his personal experience and thanking them for the help provided. 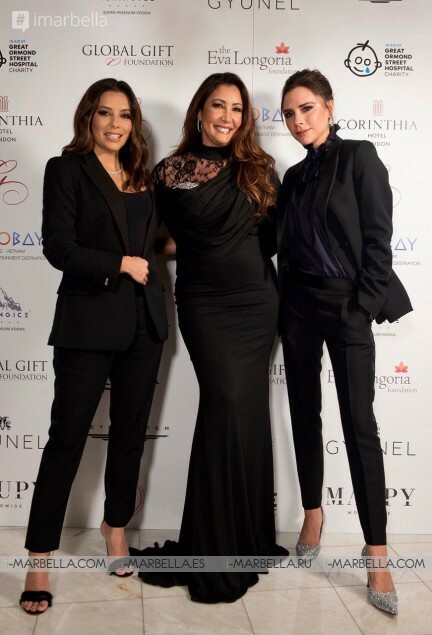 In the same way, the Eva Longoria Foundation presented the destiny of the funds acquired through this gala to the empowerment of women and girls in Latin America through studies and training. Meanwhile, the Global Gift Foundation will dedicate the funds that correspond to the reform of Casa Global Gift, a multifunctional center that will offer specialized help and material adapted to children suffering from rare diseases and gives support to their family environment. This way, on a night full of emotion and joy, the actress and writer Dame Joan Collins was awarded the "Global Gift Philanthropist Award" for her work with different NGOs throughout her life, especially recognizing her work in favor of neurological research. Likewise, Maxwel, the awarded R&B singer, was recognized with the "Global Gift Humanitarian Award" for his participatory humanitarian work in Haiti after the earthquake of 2010 as well as his constant support for 3rd world countries. Among the guests of this gala were well-known personalities from different disciplines: Guest of honor Victoria Beckham and her sister Louise Adams, Melissa Odabash, Christopher Biggins, John Bradley, Tamara Ecclestone, Craig McGinlay, Ronan Keating, as well as Karen Ruimy and Robert & Jessica Pires, members of the Global Gift’s Foundation committee in London. Additionally, important participants of the foundation such as José Bastón, Paulina and Victoria Swarovsky, Jay Rutland, Nick Ede, rugby players Max and Thom Evans, television Bonang Matheba, Ore Oduba, actor Christopher Biggins or Jay Rutland and the player of the Arsenal, Oliver Giroud. On the other hand, the highest donations were for the purchase of a machine for the Global Gift House (£ 150,000) and for the construction of a special room at the Great Ormond Street Hospital (£ 100,000). In this way, the Corinthia Hotel London was once again the scene of a magical gala. which was carried out with the help of great sponsors and collaborations such as the luxury brand GYUNEL Couture, Cocobay, Corinthia Hotel itself, BeringIce Vodka, oJetSmarter, Maupy Worldwide, Padre Beach and East Of Eden, Usher me, Most Wanted , Room Rescue Me, Tempus, the Meliá Banús Hotel, Fullford Flowers, Cyberg, Smoking Gun, Soneva, Outtrigger Joan Collins Beauty, Sixteen-10 among others. The Eva Longoria Foundation performs an empowerment of Latina women through education and entrepreneurship facilitating educational opportunities. In addition, it helps Latina girls to finish their studies so they can go to university, and they give women the opportunity to go ahead by providing them with education and training in the areas of administration and business management as well as facilitating capital for the creation and promotion of business models. The goal of the charity of Great Ormond Street Children's Hospital is to provide first-class care to children and young people with rare, complex and difficult to treat diseases. It works as an independent entity of the hospital itself, whose work is intended to guarantee seriously ill children the possibility of being able to develop their full potential. Focusing its work on four key areas: Provide funds to help modernize GOSH. Improve the experience of patients and their families, allow clinical innovation and provide important support for the hospital's dedicated staff.